I've been using the highly-anticipated iOS 8 for just over 24 hours now, and I'm excited to share a few features I like. Respond within notifications. Swipe down to quickly respond to notifications for apps like iMessage. I've been waiting a while for this one, and I'm glad it's finally here. Touch ID for apps. 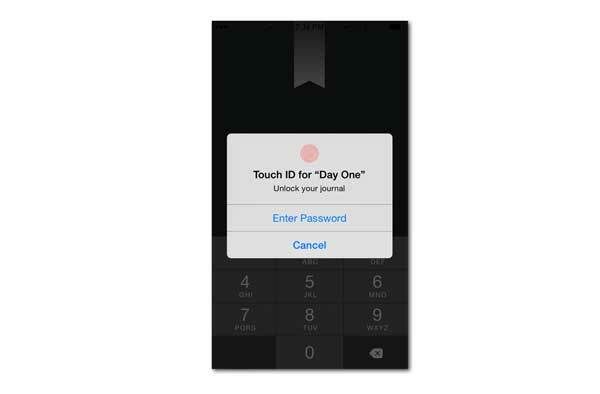 You can now use Touch ID for apps with passwords like Day One, 1Password and Mint. This makes using password-protected apps much more appealing. Safari/Sharing Extensions. Safari extensions greatly improve the interaction between apps and the browser, while sharing extensions work in any app that uses the system share sheet. Apps I use like 1Password and Instapaper have already updated to include this capability. It will be fun to see what developers come up with to take advantage of these features. Notification Center Widgets. Any app can now appear in the notification center. A whole list of apps have already added these capabilities. Like extensions, this is a new area developers can to use to enhance their apps. iMessage image selection. Your 20 most recent images are now available right inside iMessage. When adding a photo to a message, simply swipe to scroll through them and tap to add. This hasn't received much hoopla, but it's something I will use every day. Keyboards. Third-party keyboards like Swiftkey (left) and Fleksy (center) have quickly jumped to the top of the app store rankings. This is clearly a feature users have wanted. I've tried both of them briefly, but I find myself prefering the updated Apple keyboard (right). Which keyboard do you prefer? Favorites. Favorites is a quick new way of reaching your favorite and most recent contacts. I'm not sure how quickly this feature will become a part of my workflow, but it's a nice idea. Family Share. I haven't used Family share yet, but I know it will be a useful tool. Now I can share paid apps, music, movies and books with my entire family without having to give out my login information. Have you installed iOS 8? If you have, what do you think of it so far?